State agencies now have to feature and promote “Jersey Fresh” products in their eateries under a law signed today by Governor Christie that was sponsored by Assemblywoman Alison Littell McHose and Senator Steve Oroho. The bipartisan measure, A-2342, was signed today by Governor Christie. The law requires state agencies to provide enhanced visibility and accessibility to “Jersey Fresh” and “Jersey Grown” products served in their facilities. 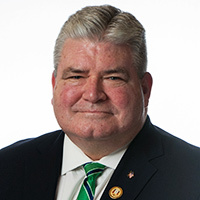 The bill reflects changes under a law sponsored by McHose and Oroho and signed by Governor Christie in January that included baked goods under the “Jersey Fresh” label.